Northern Arizona University will honor the graduating class of fall 2018 with two ceremonies on Dec. 14 at 10 a.m. and 3 p.m. This semester, about 2,800 students applied to graduate. Commencement ceremonies will be held in the J. Lawrence Walkup Skydome, which will open 90 minutes prior to the start of each ceremony. Parking will be available at multiple locations across campus, with shuttle service to and from designated parking lots. 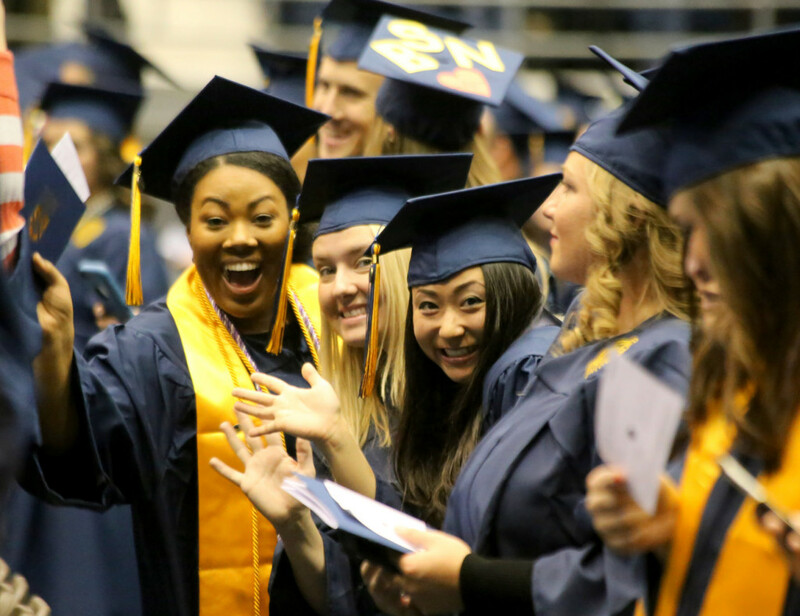 All other information regarding commencement is available at NAU’s commencement website. NAU has implemented a clear bag policy for all events in the Skydome. Jani C. Ingram, professor of chemistry and biochemistry, and Gretchen Knudson Gee, senior lecturer and associate chair of politics and international affairs, will speak at this year’s commencements. Ingram, who will speak at the 10 a.m. ceremony, investigates environmental contaminants, focusing on characterization of uranium and arsenic contamination in water, soil, plants and livestock. She is the principal investigator of the Partnership for Native American Cancer Prevention and the director of the Bridges to Baccalaureate program. In 2018, Ingram was named recipient of the American Chemical Society Award for Encouraging Disadvantaged Students into Careers in the Chemical Sciences. Gee, who will speak at the 3 p.m. ceremony, has taught in the Department of Politics and International Affairs for more than 20 years. She is the adviser for the internationally ranked Model United Nations Club, accompanying students as they compete globally. In 2008, Gee spent a year teaching international politics at the University of Tirana, Albania after receiving a Fulbright Teaching Grant. Gee was named a President’s Distinguished Teaching Fellow, being appointed for three years and serving on the Northern Arizona University Teaching Academy. Both ceremonies may be viewed live at NAU-TV. Graduates and attendees also can install the NAUgo app to have easy access to commencement information. View event times and locations, maps, parking information and more. Download it from the iTunes App Store or Android Market.